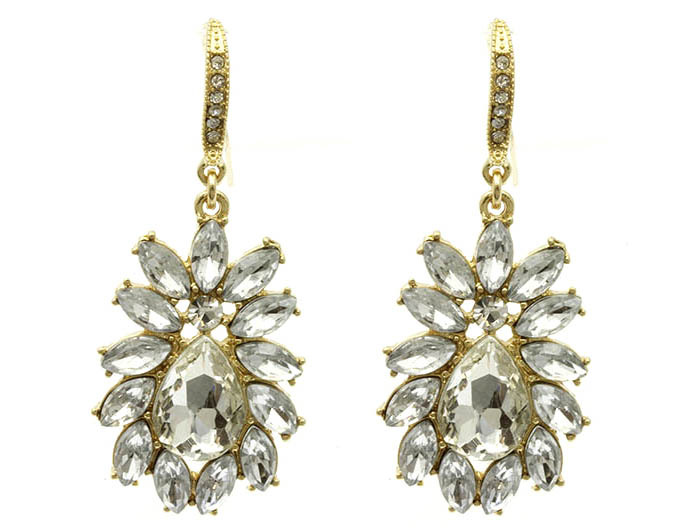 An elegantly crafted drop earring that brings a firework of serious shine to any outfit. The Phoebe’s showcase faceted clear-quartz beads and rhinestones arrayed across an elliptical frame, suspended by a cast gold drop of pavé-set crystals. The perfect way to brighten your complexion.